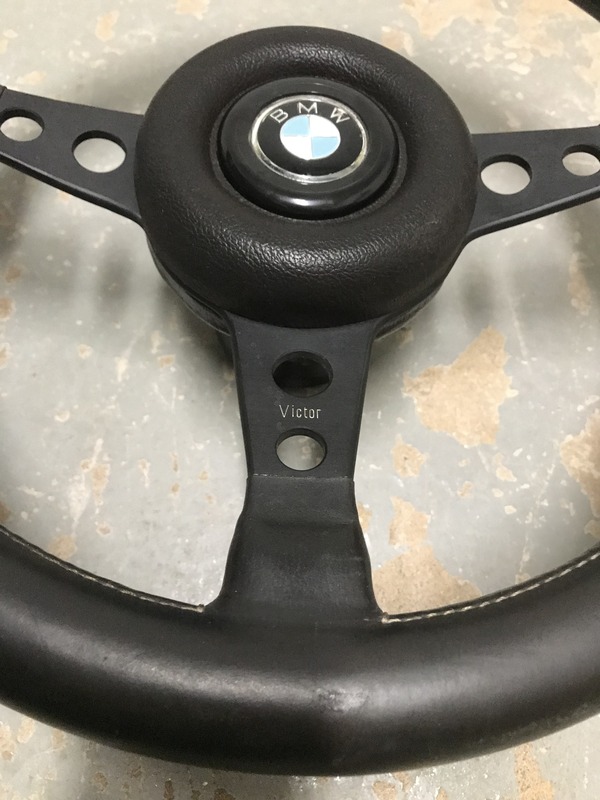 If you’re up for something in a little sportier of a size I have another very nice 100% original vintage leather Victor steering wheel. 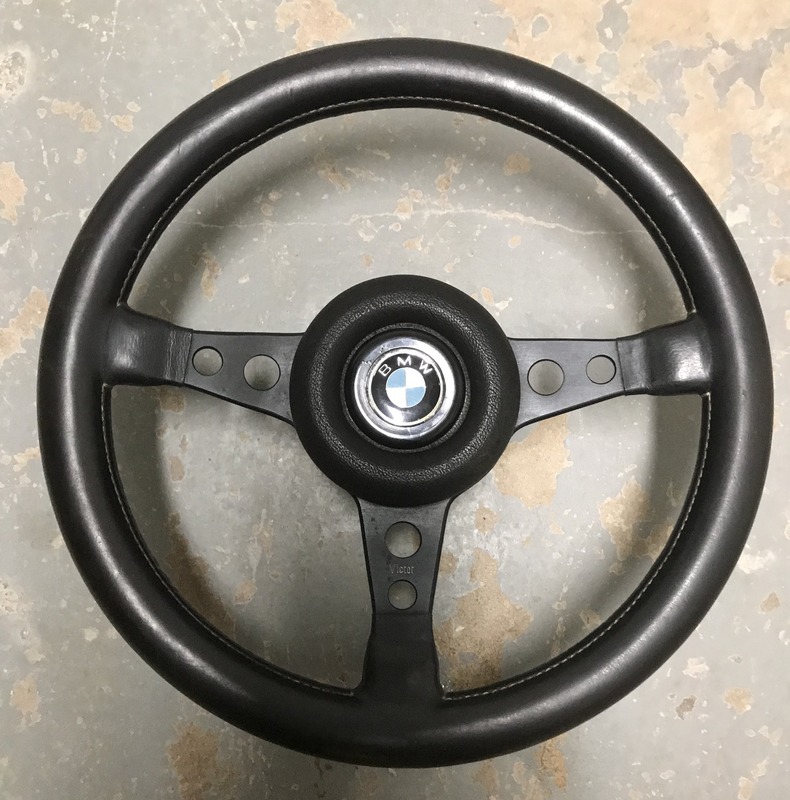 This one is the 360mm size, but comes with the original center pad bolster and BMW horn button. 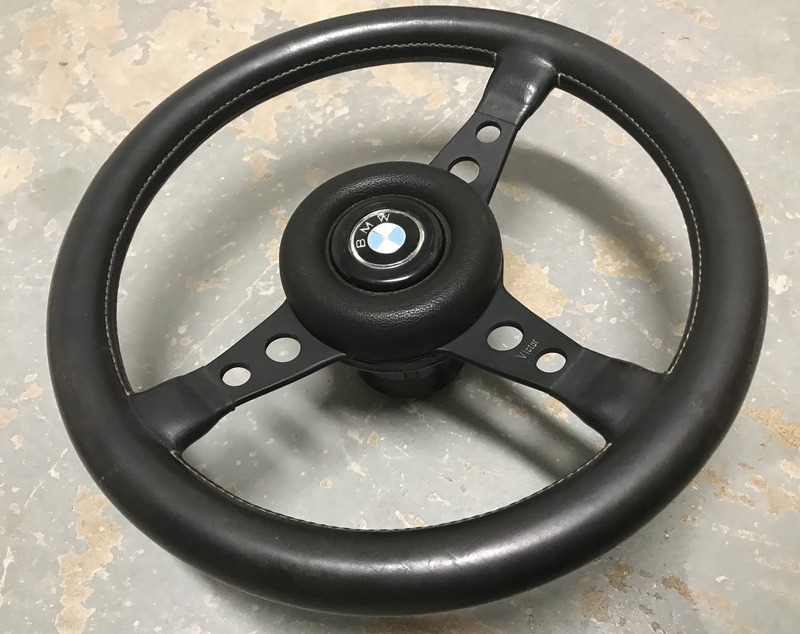 The hub will fit an 2002 or e9, but since it has the e9 horn ring you will have to modify it for the 02 push pin. The grip is nice and fat at 33mm! Personally I like these without the center pad, but it’s a nice option either way. 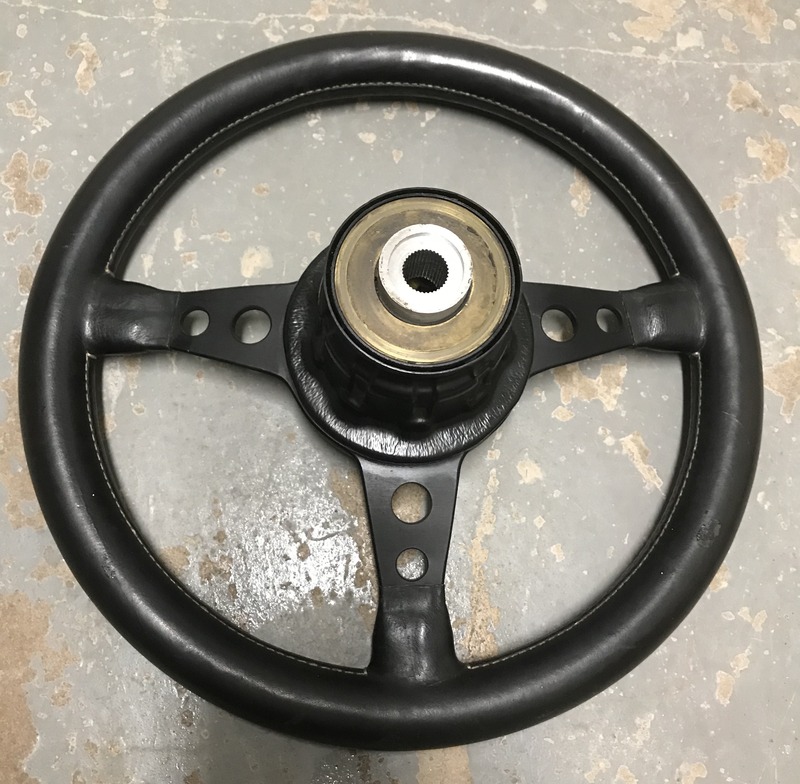 Very good shape for vintage wheel.